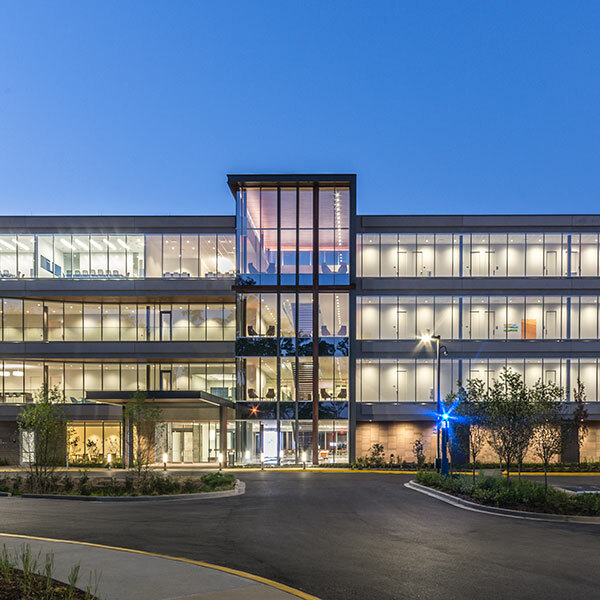 Jacobs, a large, multi-national design, engineering, and construction firm, was relocating its corporate headquarters. 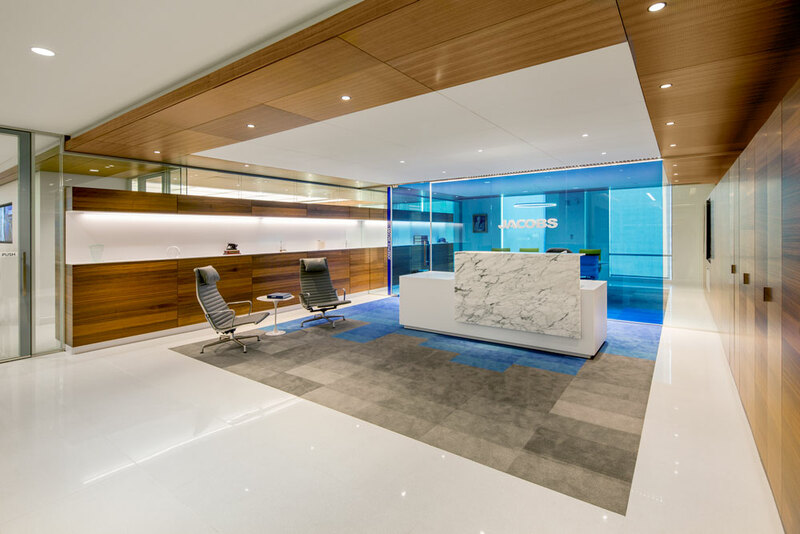 After extensive searches, Dallas offered the accessibility to top talent and greater client convenience that Jacobs preferred. 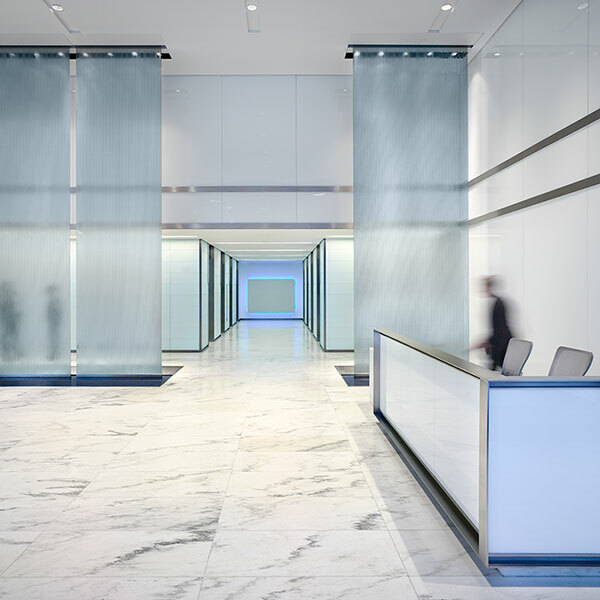 The design was key to the relocation. 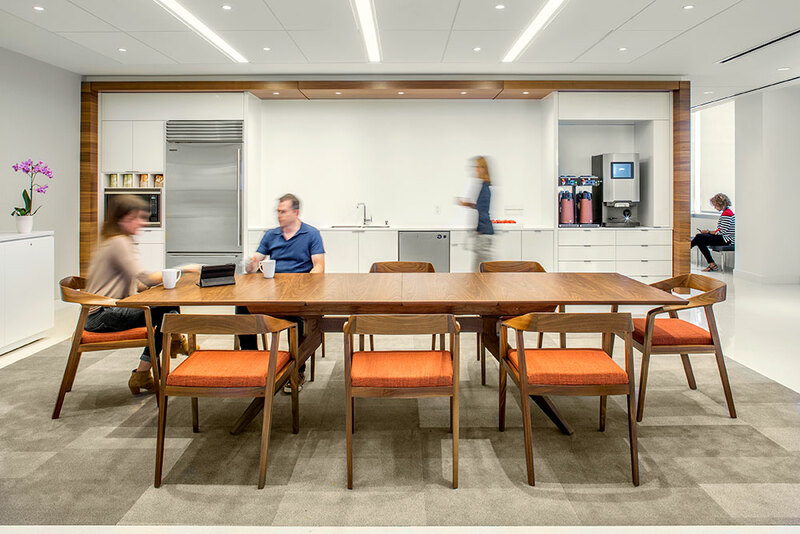 To combat perceptions that Jacobs was primarily an engineering firm, a progressive space was desired. 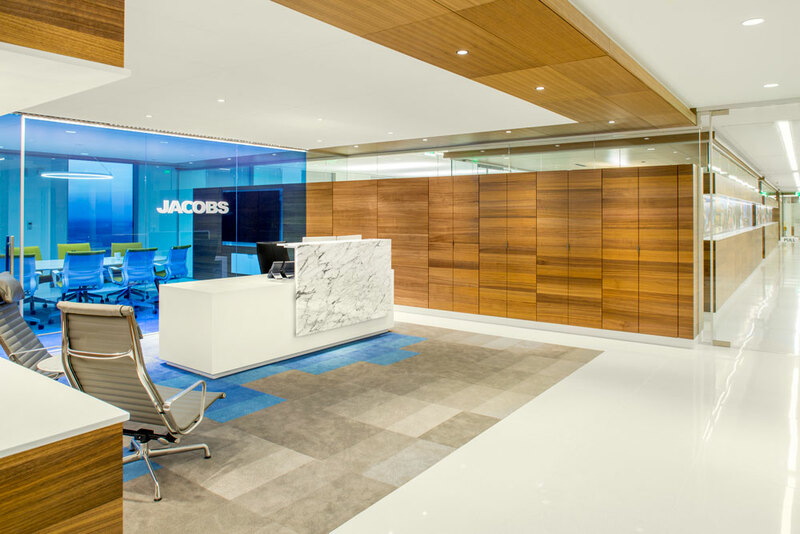 Jacobs’ in-house architects and designers were tasked with creating a hip environment to aid marketing and recruitment efforts. 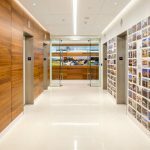 Lighting’s challenge was to create a visual identity supporting this message, while exhibiting sustainable practices on a modest budget. 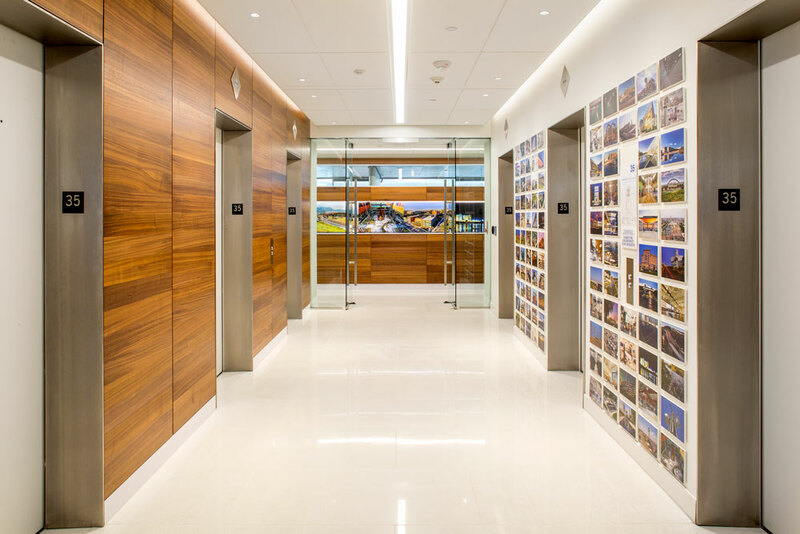 The executive floor organizes reception and main circulation with photographs of Jacobs’ projects and associated awards. 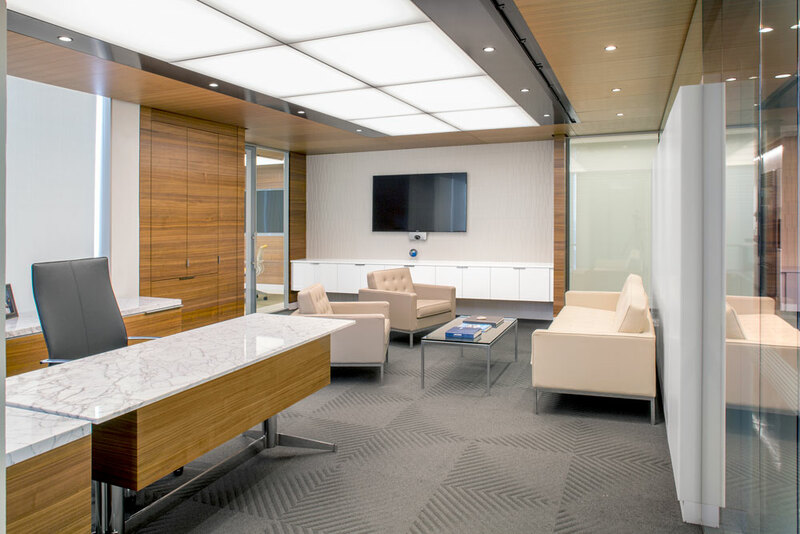 Private and open office ceilings were to be visually minimal. 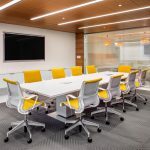 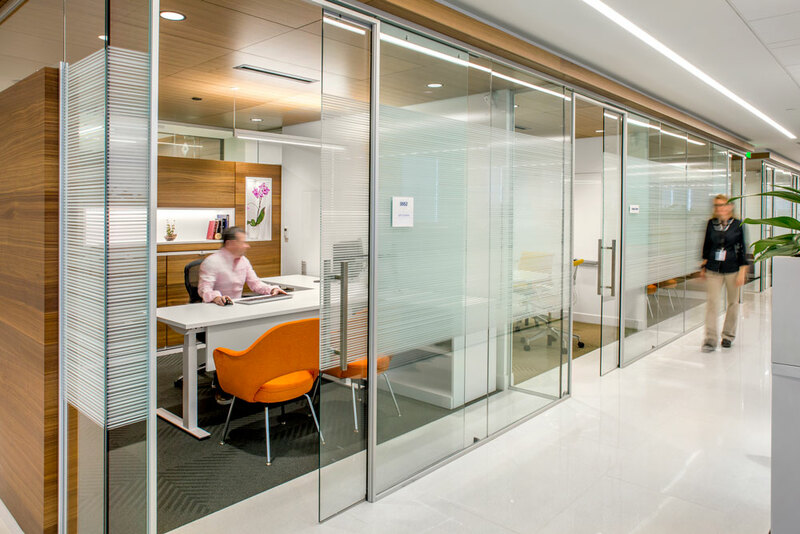 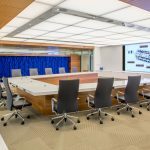 Work areas are illuminated by small profile direct/indirect linear pendants while small conference rooms are identified by similar direct-only ring pendants. 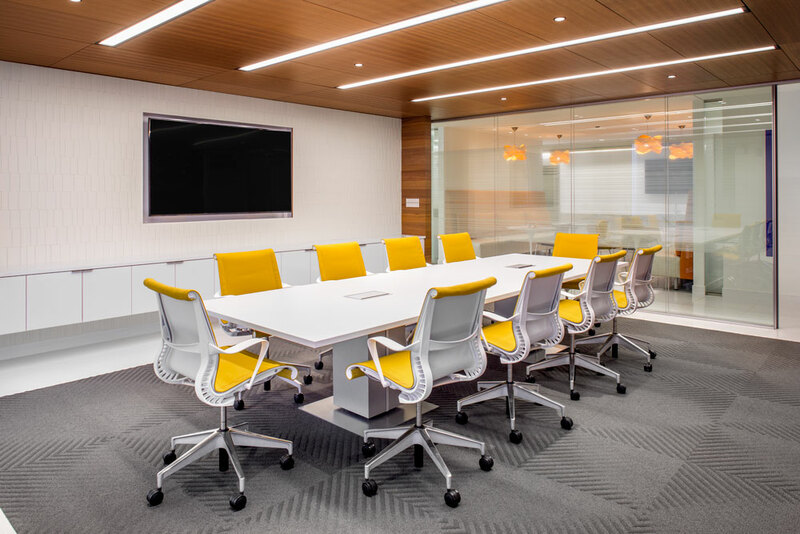 Larger conference rooms were defined by ceiling recessed linear lighting. 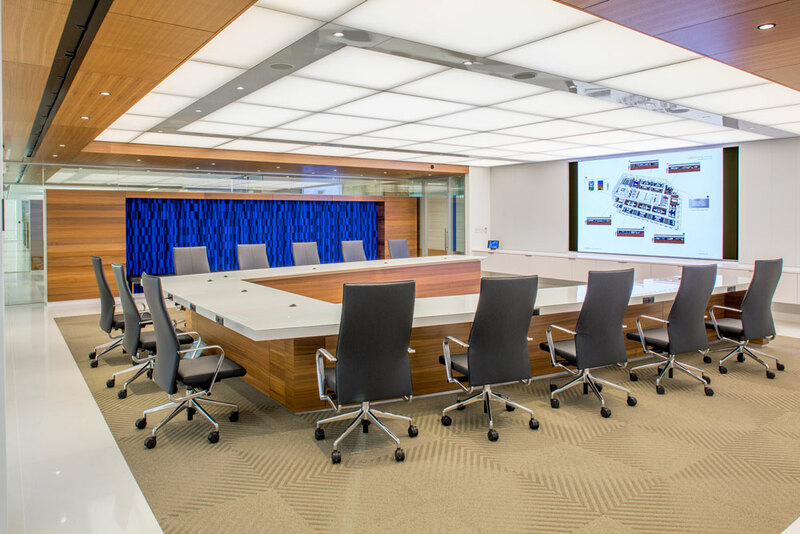 The Executive Boardroom and CEO’s office feature backlit fabric ceilings. 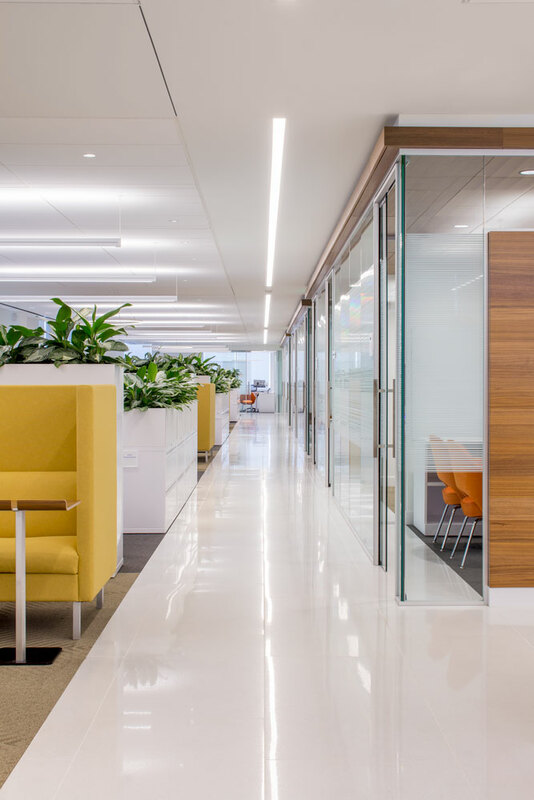 While there was concern with the impact this approach might have on energy profiles, the desire to have locations with a more sophisticated design element was paramount. 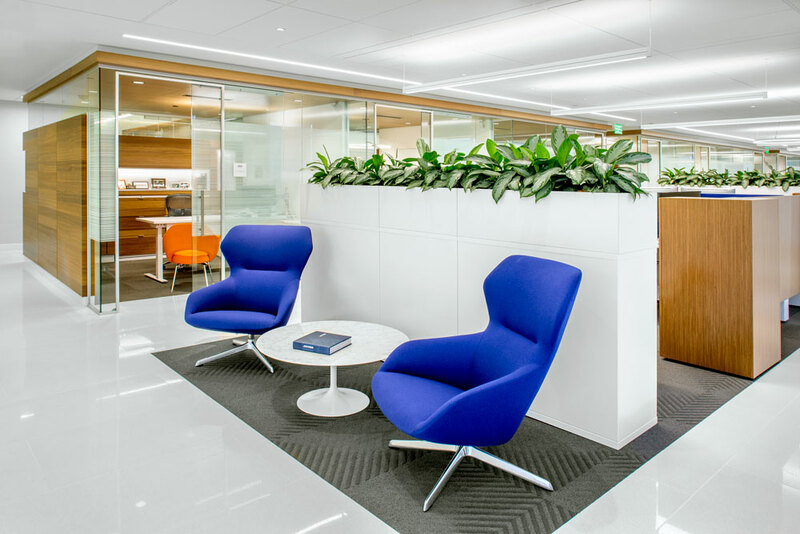 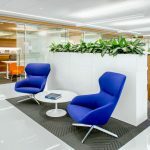 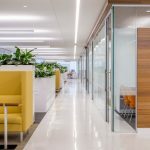 A lounge with a softer, more intimate lighting approach, and warmer color palettes offers employees a visual respite from the office environment. 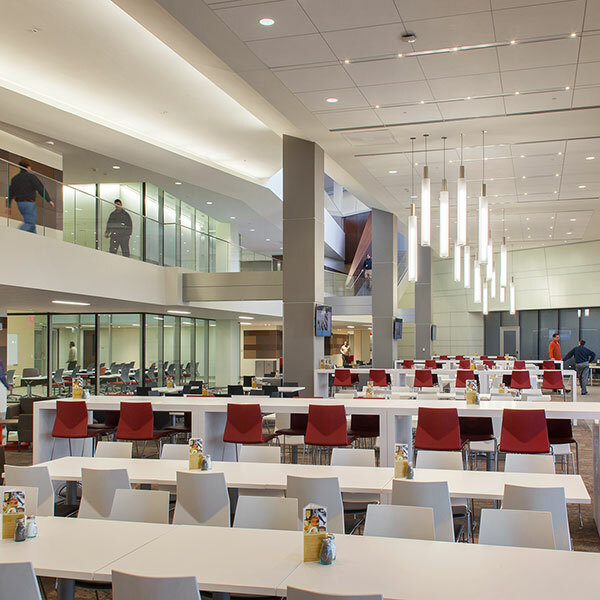 Floor-wide control offers dimming and daylight response. 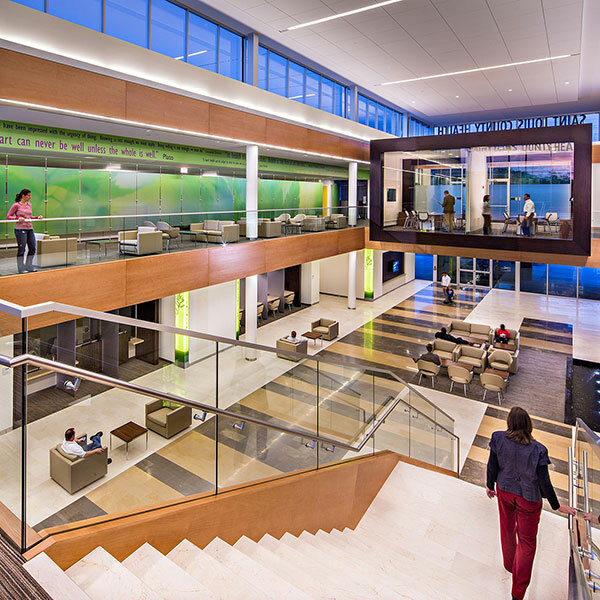 The overall energy load is more than 20% below code, and the project is LEED Silver certified (pending).